With its picturesque name that could as well have come from a Baudelaire novel, the Rue du Chat-qui-Pêche (Street of the Fishing Cat) appeals to our imagination, and it is linked to an odd legend that we’re about to tell you. 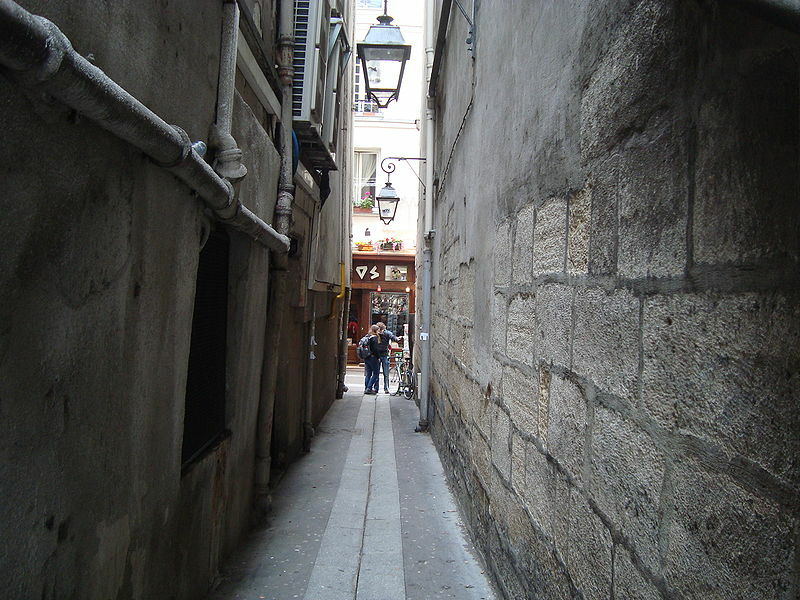 But there is more to this street, as it is one of Paris narrowest streets, never exceeding 1,80 meters in width. The Rue du Chat-qui-Pêche is very old as it was opened in 1540. It then linked the rue de la Huchette with the course of the Seine by ending directly in the riverbed. Today, it leads to the quai Saint-Michel, whose construction began around twenty years after the street was opened. It did not always bear such a strange name. It was first named “rue des Étuves” (Street of the public baths) and referred to the public baths where people used to go to wash and have a good time, places strongly blamed by Christian morality. It changed names and became “rue du Renard” (Fox Street) for a time, then “rue des Bouticles” (Shops Street). Its actual name comes from the name of a shop that alluded to a then common saying: “To go watch cats fishing” reffered to a gullible and easy to convince person. Its long existence explains its narrowness: it was opened at a time when houses, tightly packed with one another, did not leave a lot of space for wide streets. It was closed with railings during the first half of the 19th century, and was later open to public again. Such a name could only foster imagination. An old legend tells that a canon used to live there with a surprisingly agile black cat: it caught the fishes in the street with only a strike with the paw. As the canon Dom Perlet engaged in alchemy, three students thought he was acquainted with the Devil. Being sure that the man and the cat were the same being, they decided to kill the cat and throw it in the Seine River. The alchemist then disappeared, just as they expected… But he came back some days later, as he had been on a trip. What about the cat? One day, he was back fishing in the river, as if nothing had happened! The Rue du Chat-qui-Pêche is also the setting of a novel of the same name by Jolán Földes. This Hungarian author lived in this street in the 1930s and she settled there the protagonists of her novel, a family of Hungarian emigrants who came here to start over and fight for a better and more decent life. This street is particularly interesting as it is very narrow. sts and passerby travel its 29 meters to taste its authentic atmosphere. Make the most of your visit of the Île de la Cité and the Notre-Dame Cathedral to cross the Seine with the Petit Pont – Cardinal Lustiger bridge. You will spot the Rue du Chat-qui-Pêche at number 9 on the quai Saint-Michel. 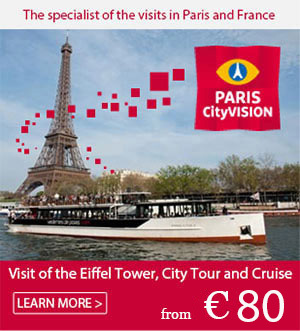 If you take it, you will arrive at the touristic street “rue de la Huchette” with its restaurants and its souvenir shops. The easiest way to get there by public transportation is the Saint Michel station (metroline 4).